Radik peered closer at the Engineering readout on his console. "Hey, Logan, do we have enough fuel to get wherever we're going? The disodium crystal count is looking low." Logan glanced over from the central chair. 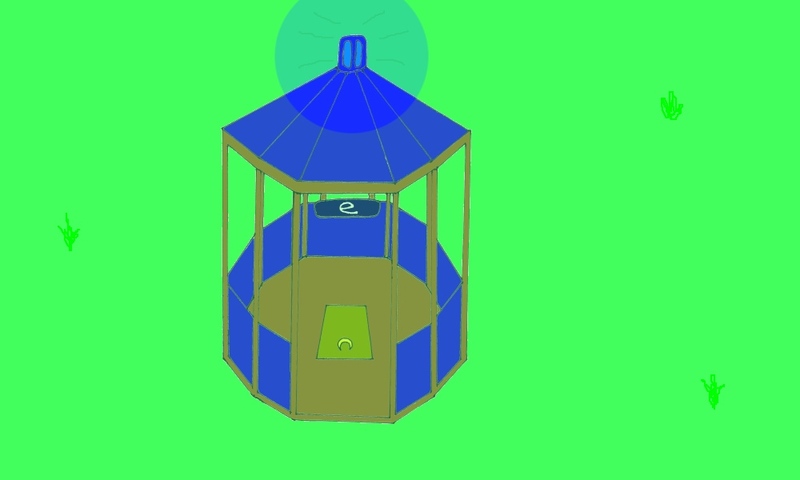 "The gazebo will get there whenever she gets there. There's some bags of salt in the engine room if absolutely necessary." Sine blinked as she reentered the bridge. "Hold up," she said. "Did you just imply dichlorine was a waste product of our engines?!" "Not exactly," the redhead retorted. "Chlorine gets routed to the pool room." Cosecant shook her head. "I just hope we reach our destination soon," she sighed. "I can't test the new phasers while we're in this... this hyperspace." "First, I don't think Hyper invented the space," Radik countered. "Second, doesn't firing phase shifts only work on you trig functions anyway?" Suddenly, the bridge was bathed in a soft blue light. "Blue alert!" Logan called out, standing up. "The ship's landing! Report to code blue stations!" Sine hurried to the navigation console, as the other relations turned back to their own boards. About a minute later, ParaB and QT entered the bridge, the latter hopping as she pulled her other pink boot back on. "Wh-What's going on?" the catgirl asked. "Gazebo's materialized near a small cottage, on what looks like a grassland plain... the area's devoid of any trees," Sine stated. "Of course," ParaB said, nodding slowly. "It's logical that we'd find a function like Signum living on a steppe." Fortunately, when the electromagnetic pulse from Hyper's railgun went off, the only major casualties were Maud's hairdo, Hyper's dignity, a warped tuning fork, and a hole in the ceiling the size of a quarter. Of course, given that the device exploded seconds after that, there was still a need for cleanup to occur. "It's fine," Maud assured the green haired scientist a few days later, as he finished repairing a chair. "I'll just straighten my hair out again, maybe." "See, I could help with that!" Hyper assured. 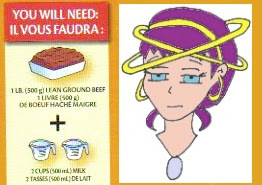 "I designed Circe's hair curlers." Maud's eyebrow twitched. "Yeah, but no, I'm good. 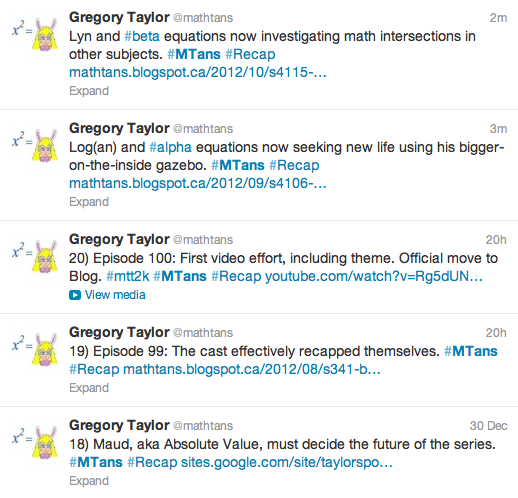 If you want to help with something, maybe promote our Math Greatest Hits video? It's just gone live." "Won't help. Another flash in the pan video, like that Khan one," Expona called out from the corner of the room, where she was playing solitaire. "Even if viewers do find their way here, you're not giving enough incentive for a subscription! 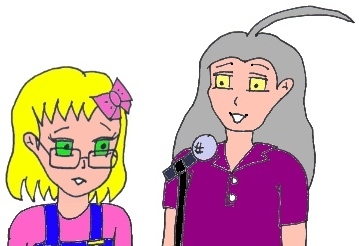 Now, if you'd had ME sing when Miss Para Noia backed out..."
"Para said she preferred me doing the cover versions," Maud responded with a shrug. "Speaking of Para," Cosine said, walking into the room, "Has our local quadratic had any telepathic communication with ParaB lately?" The absolute value shook his head. "No word out of Logan's base at last check," Maud answered. "For all we know, they're experiencing relative displacement in time as well as space." "Oh," Cosine sighed. The concern over her twin sister was obvious. "Well... let me know if anything changes." With that, the brunette trig walked back outside and glanced up at the sky. There was no way for her to know that a certain gazebo was about to arrive at it's destination. "We've decided to do more exploration around the intersection of math and music," Lyn clarified for Reci. Para smiled sadly. "Good timing, except I've decided I'm no good with recorded music. That's why I left the latest mashup for Maud." "Oh?" Root responded, looking momentarily nonplussed - to the point of trending negative. "Whoa." Elly interjected, blinking a couple times before tilting her head to the left. "Wait. Maud. You've straightened your hair?" Maud nodded. "Yeah. Kept meaning to get around to that. Wore my hat for far too long, that's why it angled funny. Anyway, as I was saying..."
"It's DONE!" Hyper interrupted as she strode into the room, proudly brandishing a box with a tuning fork stuck into it. "What's done?" Circe said, eyeing the mad scientist a bit cautiously. "A certain scientific railgun," the green haired conic said, looking particularly animated. "It fires axes!" "X axes? Y axes?" Expona asked, looking vaguely bored as she leaned onto the table. Only to have it kicked out from beneath her arm by Elly, scattering cards everywhere. "Tiny axes," Hyper yielded. "But we'll get there!" Circe wasted little time in joining Elly behind the table. Expona followed after a moment, with Tangent grabbing Lyn to join them. Reci backpedalled out of the room. Maud merely sighed, his attention on Hyper as he idly began flipping a coin. "But I already told you. I don't know where you would aim such a weapon! We were kicked out of math by TPTB, how do you fight something like that?" "Science!" Hyper declared, shaking her device at Maud. 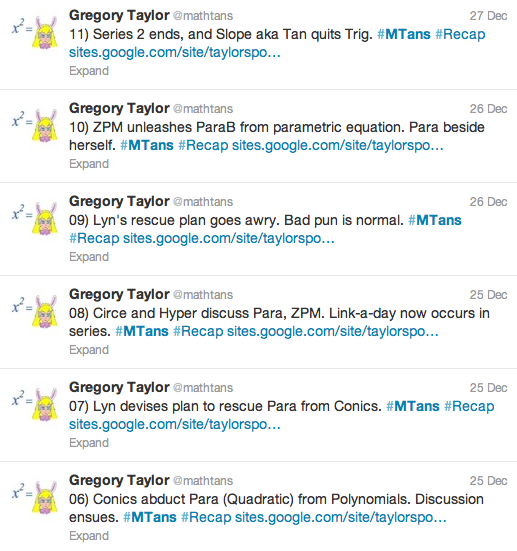 Root and Para also moved behind the table, as Cosine and the remaining functions slipped out of the room after Reci. Just in the knick of time, as it was after being shaken that Hyper's invention started to let out a loud whine. She glanced down at it. "Oh, it's not supposed to do that," she mused. 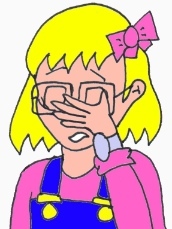 "Nis said this would be a railgun in the key of C. The constant C is an integral part." "Hey, Circe, do you have any twos?" Cubi inflected, peering at her hand. The circle smirked. "You'd think so, wouldn't you? But go fish." Cubi made a face as she reached for the deck in the middle of the table. "Uh, wow," Lyn said, blinking as she walked into the room. 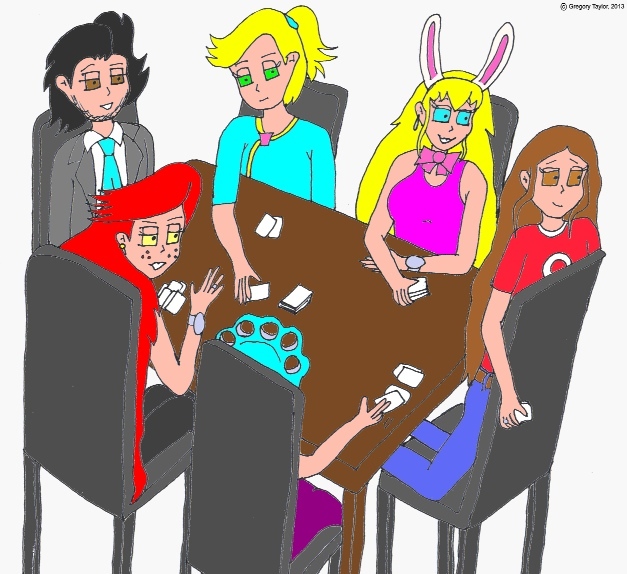 "Have the six of you just spent the last few months playing cards...?" "We prefer to call it an exercise in applied probability," Reci answered, after running his fingers first through one side of his hair, then the other. "Hi Root!" Para said in delight as her inverse walked in behind Lyn. She stood, tossing her cards aside to go over and give him a quick hug. "Hey! Blondie! Don't break up the game now!" the redhead at the table called out in annoyance, snapping her fingers. 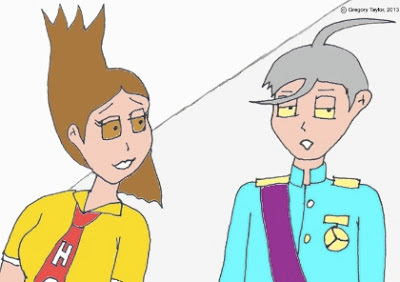 "Expona, let's just take it as a given that you'll win," Tangent sighed. "We don't have your staying power." She also tossed her cards aside before walking over to Lyn. The rest of the Beta group came in next, Cosine glancing around the room. "This isn't everybody. Where's Maud? Where are the trig inverses?" "Hey, they're around somewhere, maybe with Quinn," Cubi said, gesturing vaguely as she leaned back in her chair. She glanced at Reci. "Hey, wasn't Hyper working with Nis and Soc on some new weaponry...?" Before Reci could answer, the far door to the recording studio opened, and Maud stepped out. "I've finished the mashup!" he declared with a grin. "All I have to do now is... oh, hey there," he said, waving to the arrivals. Root looked towards the modulus function. "Cool! If you're done, can Para and I use the studio now? We'd like to make beautiful music together." Reci did a doubletake. "You better mean that literally, not as an idiom." "I hate to say it, but speaking of family makes me wonder what Radik III is up to," Root said, shoving his hands into his pockets. "And I miss my twin sister," Cosine sighed. "I wonder if the alpha group has had any luck finding new relations?" "I know they will," Elly replied, her eyes unfocussing. 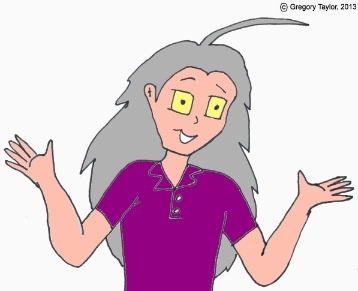 "After all, there's so many other branches of mathematics out there... combinatorics, optimization, statistics, finance..."
"I propose we regroup with everyone else in the gamma group then," Lyn concluded, readjusting her glasses. "We're pretty much done here, and they'll probably have a better sense of where Logan and the alphas are at." "And they can help with our backup plan to focus on music!" Root reminded. Nat frowned. "What if we've missed something important though? An entire subject, even?" he protested. "If we have, maybe someone will comment!" Elly said brightly. "They give an opinion, we come back to it later." "But opinions would be subjective! ...aha, of course, I see your objective there," Secant realized. 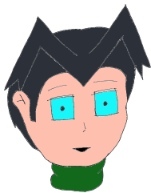 Lyn's eyebrow twitched. "To mention cases of personal pronouns...?" "Yeah, let's stick with math," Cosine sighed. "We can discuss which among us are injective, or something." Root made a face. "Even if I am, I never did like needles." Lyn shook her head. "Isometrics, not ISO metrics. Though metric may be the standard for the ISO - International Organization for Standardization. Which by the way abbreviates ISO - not IOS - from the Greek." She frowned. "Wait, we're back to languages again..."
"And have you all forgotten we discussed the metric system earlier?" Nat reminded. "That involved tech - metric mass is in the news now," Cosine cut in. "And there are new connections to cooking. How many milliliters in a tablespoon? How different is a fluid ounce from a "dry" ounce, and of course a ton is different from a metric tonne..."
Elly frowned, falling out of her meditative pose. "Pet peeve. Some recipes say 1 pound is 500 grams. A pound is about 454 grams! Upsizing using 500 will go beyond rounding error into sheer lunacy!" "I'll go one better!" Root chimed in. 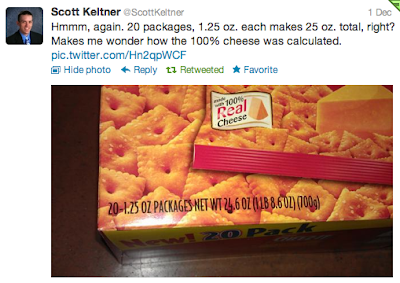 "A tweet which found 20 cheese packages at 1.25 oz each, created a box weighing 24.6 oz. How can you have a negative weight box? Incidentally, the same person has also been able to use food to represent systems of equations..."
"It's all using math in daily life," Secant affirmed. "In fact, anyone else starting to wonder if we're overthinking this? Why do we even need a specific subject?" "Point," Lyn yielded. "We could simply link up with an amusement park. Do math in connection to roller coasters, for instance. Calculate the number of people a ride can hold, factor in the time of the ride, and use that to estimate how long you'd be standing in line." "Nice," Elly agreed, looking more mellow. "Or we estimate speed of rides based on degree of drop, or rotation. There's another good website out there on estimations. It's family math!" The three trigonometric functions nodded back at the conic. "Yes, if there's one thing we relations know about, it's family studies," Nat agreed. "Soooo, do we talk Art now?" Root wondered, glancing to Elly. "We haven't exhausted languages yet," Lyn insisted. "Consider, english has nouns and adjectives, we have variables and coefficients. There's something to that! Also, when I say 'Stop!' I'm implying YOU stop, the same way when I say 'x' I'm implying ONE x." Elly shook her head, adopting a meditative pose by making ellipses between her thumbs and forefingers. "Algebra mad libs has been done by a teacher already. Moreover, (x, why?) 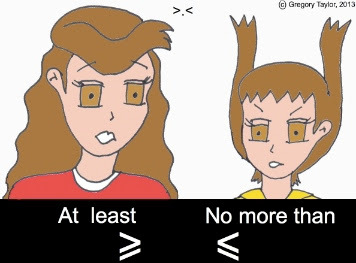 and Spiked Math comics already made more humourous english connections than we ever could." 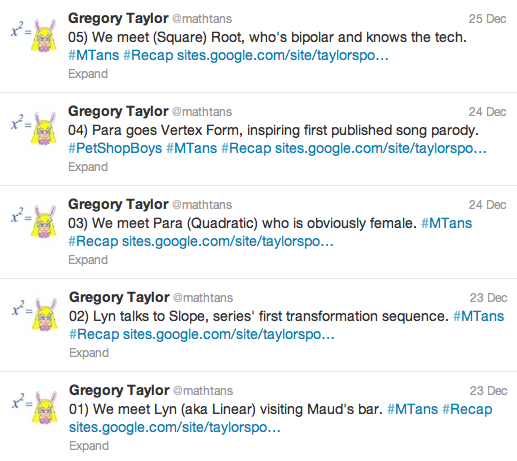 "Shouldn't we at least point out here how phrases like 'at least', or 'no more than' trip students up mathematically?" Cosine suggested. "No more than we'd expect though, right?" Secant countered. Her eye twitched. "The world is simply full of inequality." There was a brief pause. Root cleared his throat. "Because I was thinking our very existence is TOTALLY connecting mathematics to art. They'd love us there! Wouldn't you say?" Nat shook his head. "You may enjoy doodling pictures of your girlfriend, Root, but students may not enjoy drawing parabolas as much." "I... I don't doodle pictures of Para!" Root protested. "I'm more about, um, perspective drawing on computers... yes. Because perspective is huge in art." Elly waggled her eyebrows. "What about how art links to math through patterning?" "Or we could talk Isometric diagrams," Lyn added. 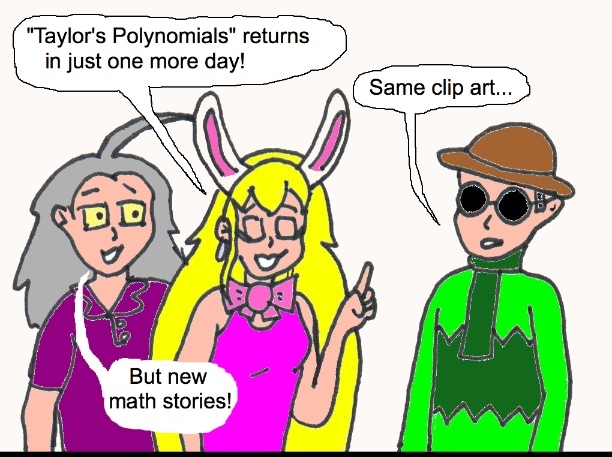 "There's a three way crossover between math, art and technology there!" Root turned to her. "Wait, iso what? Are we bringing up the metric system again?" 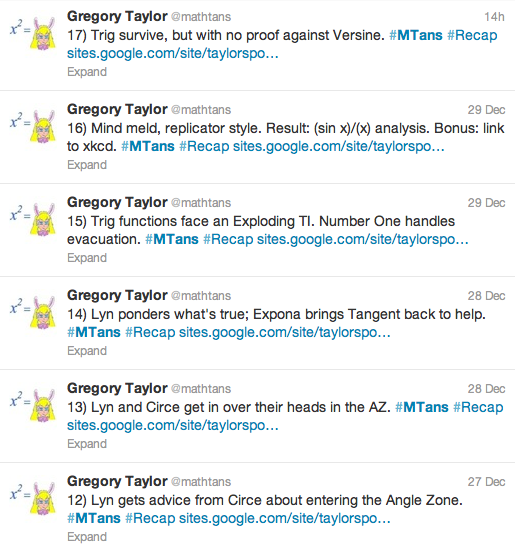 Nat, Tangent's inverse and the resident medical expert, decided he might as well break the silence again. "So you were saying something about word origins?" he said gruffly to Root. "Well, sure. For instance, do you know why Sine is called sine?" the silver haired man countered. "Yes," Sine's twin sister cut in. "And I know why I'm called Cosine. It's short for Complement of Sine. In fact, you can check Ask Dr. Math about the rest of my family. It has many links there too!" "Okay, then let's move to considering languages in general," Lyn suggested. "For instance, in French we're 'les mathématiques'... does that make us male or female?" "Plural. I think the lack of singular means we're permanently dating," Elly opined. Important: The same mathematical family does not imply blood relations. Secant frowned. "Ugh. We're not getting into that whole arranged marriage subtext between functions and their inverses, are we?" "What subtext? I like dating Para!" Root countered with a grin. Lyn palmed her forehead. "Oh yes, please, let's all remind me that I'm a self-inverse and too young for the fun stuff," the line said. "I was TRYING to suggest we talk mathematical translations." "Might be better to leave that to any foreign language experts in the comments," Nat ventured, crossing his arms. "Actually... by sliding the conversation to the side without rotation, we did perform a translation," Cosine said, smirking. Everyone continued to stare squarely at Root. "It was a segue, obviously," the silver haired function offered after a moment. "I thought word origins would be less of a minefield." "Longest. Segue. Ever." Secant said, glaring. She adjusted her reciprocal tie. "It's true, things don't seem as straightforward anymore. Perhaps we should review how we got here?" Lyn said, rubbing the bridge of her nose under her glasses. As the Line was the de faco leader of the beta group, the others all nodded in response. Elly even smiled brightly. "That's easy enough!" the ellipse offered. "Recall that we, the personifications of math, were deemed irrelevant and kicked out of our subject area. To find a new area, we covered how math can be used in the following..."
"Whoa, wait, stop!" Cosine protested. "Elly, you're displaying eccentricity again. We haven't talked about those last few subjects at all!" Elly canted her head to the side. "Oh, right. Sorry, that was a different possible history. They'll be coming up next in this timeline." The other relations exchanged uncertain glances. "Uh, careful! Spoilers!" Root concluded with a shrug. LINK AWAY. YOU MAY HAVE TO TRIFORCE. Six months later, and they haven't aged a day. Math equations as people. Once a serial, now a webcomic, updating on MONDAYS + randomly. Check out my other serial: Time & Tied. (c) Gregory Taylor. Awesome Inc. theme. Theme images by bluestocking. Powered by Blogger.